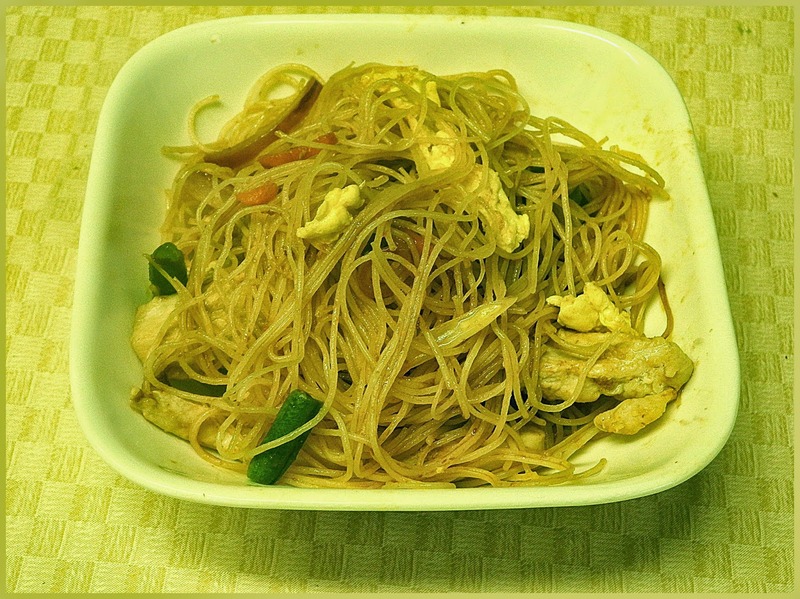 Chicken Pad Thai for our WwDH group was a delicious treat. Thanks Margaret. It seemed a lot went wrong, for me, with this recipe. First, I looked it up online instead of in the book, only to find later, the recipe is different. I stayed with the online recipe borrowing a few ingredients from the original recipe from Modern Classics 1, chosen by Margaret. It is not that different. Some of the vegetables are different and the sauce definitely has differing ingredients. Mine was ketchup and chicken stock which I used and added lime juice and soy sauce. It turned out to be, only by luck, a good sauce. Problem # 2 was that the eggs got stuck to the pan and I had to scrape them off in bits and pieces instead of as strips. That did not change the taste though. The third problem was in slicing the chicken, in some strange way, I missed cutting some pieces thin enough and had to do a recut, at the last minutes. Despite all this, we had a good dinner, approved by hubby. It turned out looking very tasty, Chaya. Glad you enjoyed it Chaya. In the book, they didn't say what to do with the egg, so I relied on the photo. This was OK, but I have had better pad thai. Haha! You persevered despite the challenges and it still sounds delicious. Great work. I was disappointed in my pick. Kind of bland. Maybe we should try your sauce.